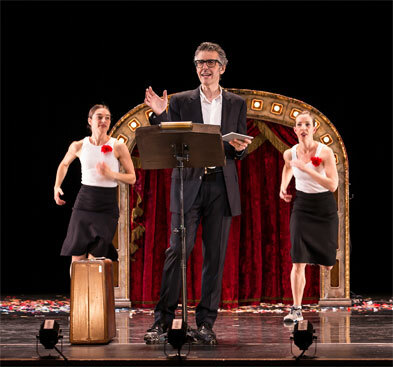 Ira Glass, producer and host of This American Life brings his storytelling prowess to The Theatre at Ace Hotel for one night only on Saturday, November 7, with Three Acts, Two Dancers, One Radio Host: Ira Glass, Monica Bill Barnes, Anna Bass. Ira joined forces with Monica Bill Barnes & Company, to combine two art forms that – as Ira puts it – “have no business being together – dance and radio.” The result is a funny, lively and heartfelt evening of dance and stories that has brought down the house wherever it’s been performed. "People who like This American Life will probably like this,” says Glass “because it’s just like the radio show, um, if you picture dancing during all the stories." Best Radio host in America." Mr. Glass is a journalist but also a storyteller who filters his interviews and impressions through a distinctive literary imagination, an eccentric intelligence, and a sympathetic heart." This was one of the funniest evenings of dance I’ve ever seen, and one of the most affecting." 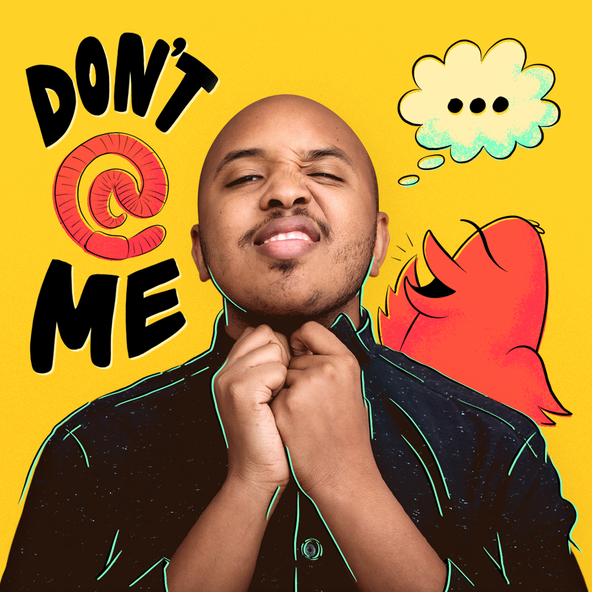 Out of this unexpected union of dance and radio comes a show that, like the work of its collaborators, blends moments of delight and hilarity with glimpses of the soft underbelly of human experience. It’s magic." Valet Services are available at Ace Hotel. There are many parking lots around the venue, not associated with The Theatre. They’re cash only, with rates ranging from $10 to $30 depending on the event. No validation accepted for event parking. Take public transportation if you are able. How much are tickets for these shows? The Theatre at Ace Hotel charges a $5.50 facility fee on each ticket and ticketfly charges $2.50 per ticket + 3% on total credit card order. There are 2 shows, 7pm and 10pm, with lobby doors opening one hour in advance of each show. Each show runs about 1 hour and 40 minutes with no intermission. NOTE: The 7pm show will begin promptly at 7pm. Please plan to arrive early and be seated no later than five minutes prior to the start of the performance. Late comers will be seated at the first suitable break. How do I get to the Theatre at Ace Hotel? 841 S. Spring St., 839 S. Spring St., 817 S. Spring St., 826 S. Broadway, 953 S. Broadway, 916 S. Hill St., 230 W. 9th St,, 919 S. Broadway, 854 S. Main St., 1002 S. Hill St., 1031 S. Broadway. Can I only purchase tickets online? Yes, you will not be able to purchase tickets to 3 Acts, 2 Dancers and 1 Radio Show at the Theatre’s box office. Is there food and drink available at the Theatre at Ace Hotel? Yes. Arrive early and enjoy dining and drinks before the performance. Ace Hotel DTLA is right next door to the theatre and offers the following dining options; LA Chapter, Coffee Counter, Upstairs, Moon Juice. The Theatre also runs a fully-stocked concession stand during each show with a full bar and snacks available for purchase. Will-call is located at the front of the Theatre of Ace Hotel. Your valid I.D. is required to pick-up will-call tickets. What can I do if I am having trouble placing my order online? Is there any listening assistance available? The Theatre at Ace Hotel is equipped with an assistive listening system for individuals with hearing loss. Please let the house staff know if you need a headset. What if I need ADA seating? The Theatre at Ace Hotel offers ADA-accessible seats and restrooms. After you purchase your tickets, please contact events@kcrw.org if you require accessible seating. May I take photographs or video the event? No. Cameras and recording equipment are not permitted in the theatre and cell phones must be silenced before the start of the performance. What is the maximum amount of tickets I can purchase? There is a 10 ticket limit per transaction. For group tickets, please contact events@kcrw.org. No. All sales are final. No refunds or exchanges. Is the ticket price tax deductible? Tickets are partially tax-deductible. The portion of your ticket purchase price that exceeds the fair market value of the event is tax-deductible. For more information please contact KCRW Membership between 10am and 5pm, Monday – Friday at 310-314-4635.